Increased population and falling tax revenues challenge Texas’ urban areas, adding a layer of difficulty to the task of preserving any community’s cultural heritage. The Central Texas economy has experienced a boom in recent years, a trend that is most obvious in downtown Austin. Cranes perched atop the skyline during the past few years as developers scrambled to build dozens of taller and more dramatic buildings. The City Council has embraced and encouraged increased density in the city’s core as a means of reducing urban sprawl. In 2007, the council began to draft a downtown development plan that incentivizes downtown density but fails to provide protection for most historic sites, including the Capitol View Corridors and mid-century buildings. Preservationists have urged the city to articulate a vision for Austin that includes the preservation of its historic buildings. As the city continues to grow – up and out – the pressure on the small-scale historic buildings can only increase. The downside is demolition. The possibility of the destruction of historic structures increases dramatically in times of prosperity, when the pursuit of wealth tends to outweigh our desire to preserve history. Grand new development projects overshadow the foundations of our neighborhoods’ heritage. Austin has been just such a place for almost a generation. 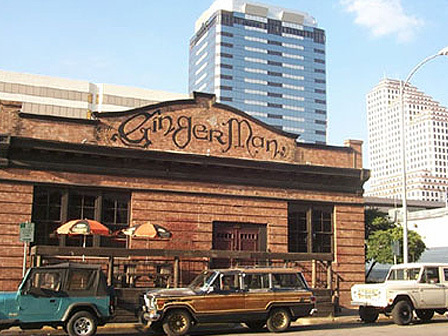 The community has lost many buildings that defined the city and provided the beloved backdrop to the state capital. We hope that together we can act to preserve the buildings that reflect the history and character of our city.